The largest full-service dining company in the world. In the past, the world knew us as IHOP®, an American icon to our guests and a franchising company that was focused on providing strategic leadership and vision for our franchisees and on enhancing value for our shareholders. With this dedicated focus, we cultivated a core expertise in brand revitalization and franchising know-how which became the basis for the winning formula that has defined the financial success of our business in recent years. With the addition of Applebee’s® to the IHOP family of restaurants in November 2007, we made a bold new commitment to our brand revitalization abilities and to the power of franchising. DineEquity promises to make our two businesses more powerful and more successful than either brand could have been apart. In October of 2012, DineEquity successfully completed the transition of Applebee’s to a 99% franchised restaurant system. Our goal remains to provide delicious, innovative dishes and exceptional guest experiences each and every time a guest walks through either brand’s doors. With more than 3,600 restaurants combined in 18 countries, more than 400 franchisees and approximately 200,000 team members (including franchisee- and company-operated restaurant employees), DineEquity is one of the largest full-service restaurant companies in the world. With more than 2,000 restaurants in 49 states, 16 countries and two U.S. territories, Applebee’s is the world’s largest casual dining brand. Founded in 1980 in Atlanta, Georgia by Bill and T.J. Palmer, Applebee’s has always been dedicated to full service, consistently good food, reasonable prices and quality service in a neighborhood setting. Today, we are focused on building upon this heritage and maintaining Applebee’s brand position at the top of the casual dining industry by becoming more competitive and differentiated in the casual dining segment of the restaurant industry. 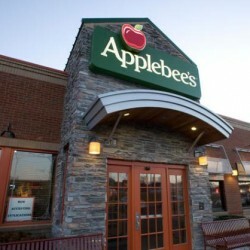 We expect to generate sustainable same-restaurant sales momentum for the Applebee’s brand by significantly increasing the effectiveness of Applebee’s marketing efforts, making meaningful improvements to the operational performance of our restaurants, and continuously introducing fresh, innovative dishes for our guests to enjoy. Applebee’s® competes in the grill & bar segment of the casual dining category of the restaurant industry. In October of 2012, Applebee’s completed the refranchising program initiated in 2008, successfully transitioning to a 99% franchised restaurant system. Applebee’s Neighborhood Grill & Bar restaurants are known for their fun and family-friendly neighborhood atmosphere and signature grill & bar menu items that guests can only get at Applebee’s. Net income was impacted by loss on extinguishment of debt related to the Company’s refinancing of its long-term debt. On September 30, 2014, the Company repaid the entire outstanding principal balance of $463.6 million of the Credit Facility; there were no premiums or penalties associated with the repayment. On October 30, 2014, after a required 30-day notice period, the Company repaid the entire outstanding $760.8 million principal balance of Senior Notes, along with a required make-whole premium for early repayment of $36.1 million. 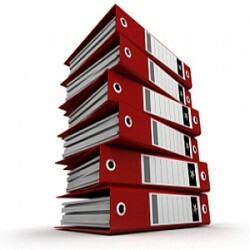 All of our obligations under the Credit Facility and the Senior Notes terminated upon the respective repayments thereof. This transaction was accounted for as an extinguishment of debt under U.S. GAAP. We recognized a loss on debt extinguishment of $64.9 million for the year ended December 31, 2014, comprised of the $36.1 million make-whole premium on the Senior Notes and the write-off of the unamortized debt discount and the issuance costs associated with the extinguished debt of $16.9 million and $11.9 million, respectively. Average Units Volume is calculated on a combined total of Applebee’s and IHOP units (3,667) and does not account for store sales as 99% of the units are franchised.